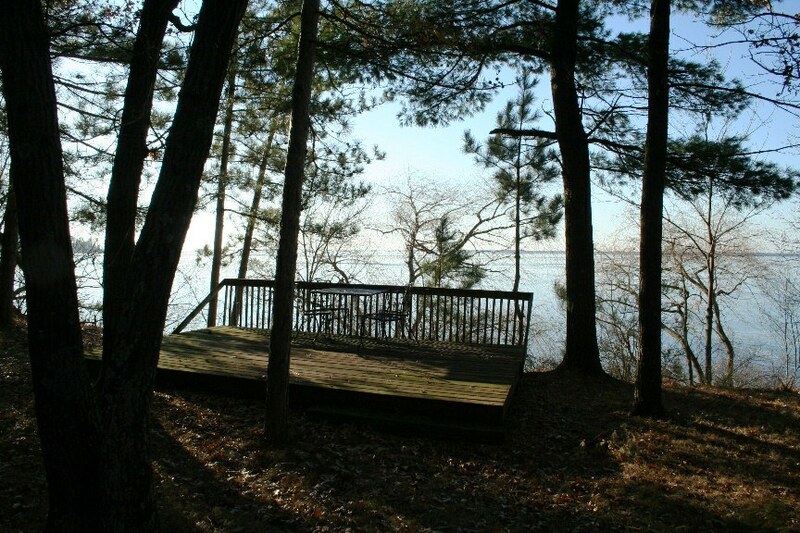 Homes For Sale on Lake Petenwell! 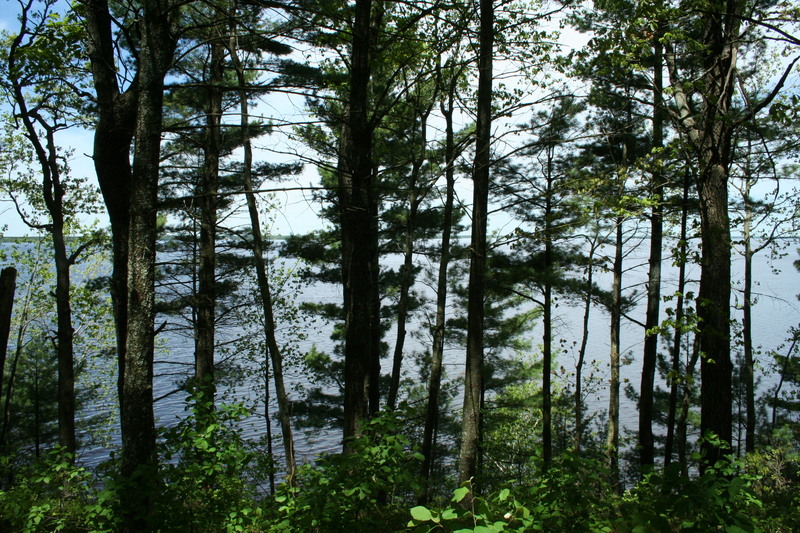 A more robust page featuring Lake Petenwell Homes for Sale including more details, photos, and mapping is now located HERE. 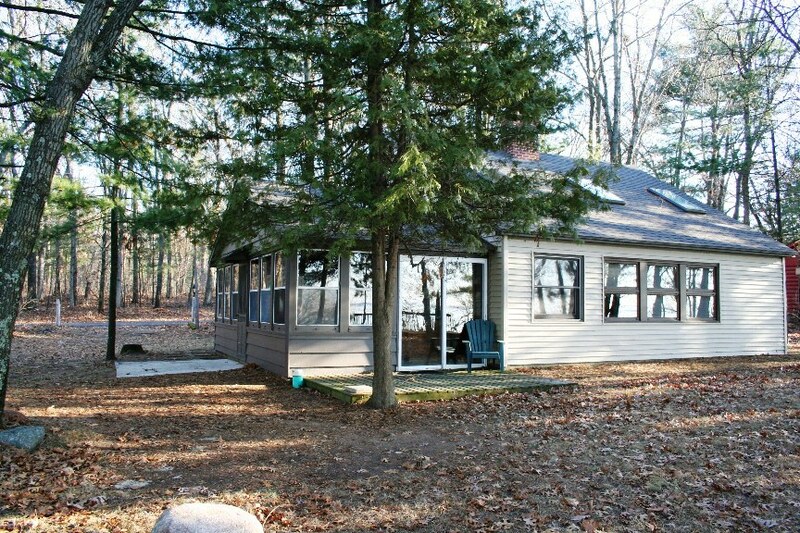 This lake home sits on 5 wooded acres and has plenty of room for all your family and friends with 6 bedrooms and 3 full bathrooms. Open layout provides room for entertaining, vaulted ceiling in the living room, nice use of pine box car siding, a 3 season room provides a quiet spot to get away, and the covered front porch is a great spot to sip your morning coffee. 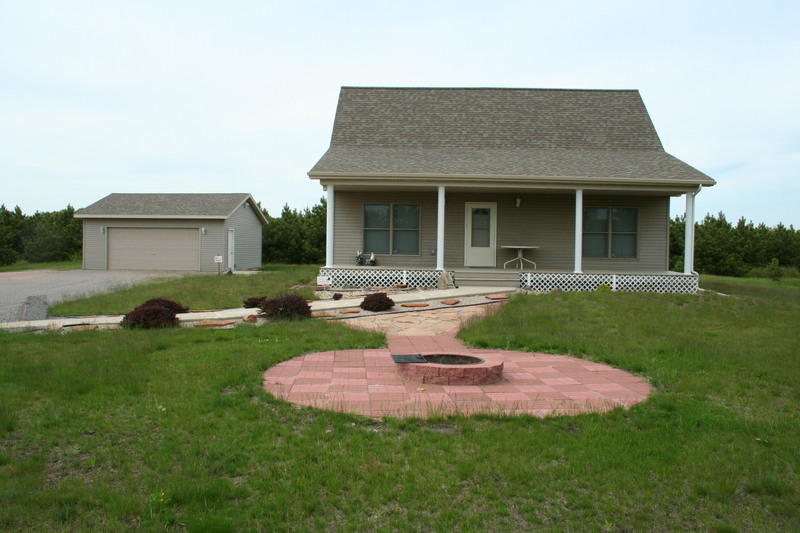 Professionally landscaped yard including a built in firepit. You’ll never have a neighbor behind you as the property backs up to a 25 acre green space. An oversized 2 car garage has plenty of room for all the toys. Includes an already installed dock, permanent boatslip and deeded access to 800ft long sand beach only 600ft from your house. Want to use it this summer without the hassle of furnishing another home? 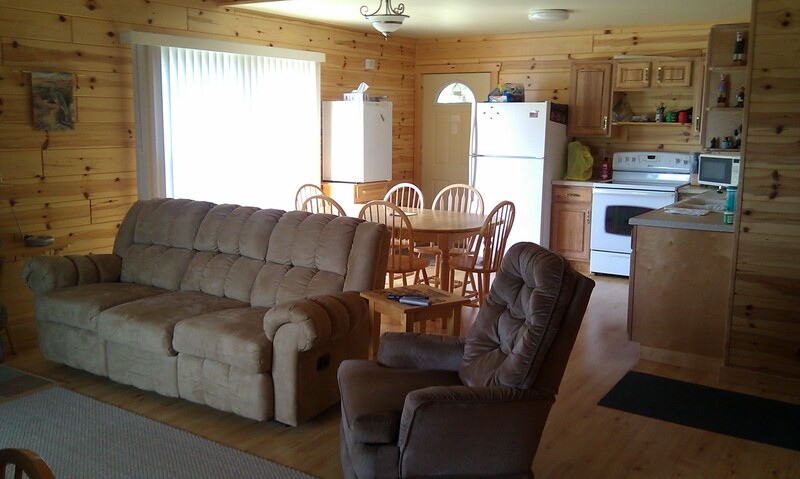 Seller is willing to sell this home fully furnished. To find out more about this home call (888) 470-5253, or use the Info Request Form. 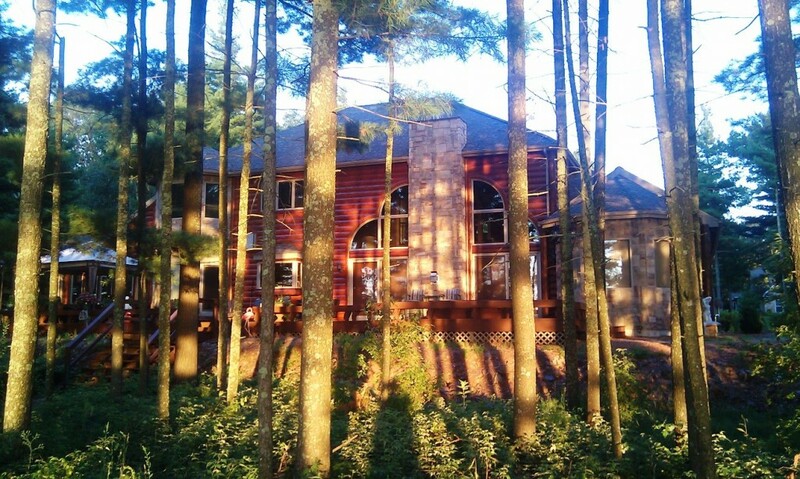 This Northwoods cabin offers stunning sunset views across 23,000 acre Lake Petenwell. 290ft of private shoreline with no 100ft. setback and your own private boat house. 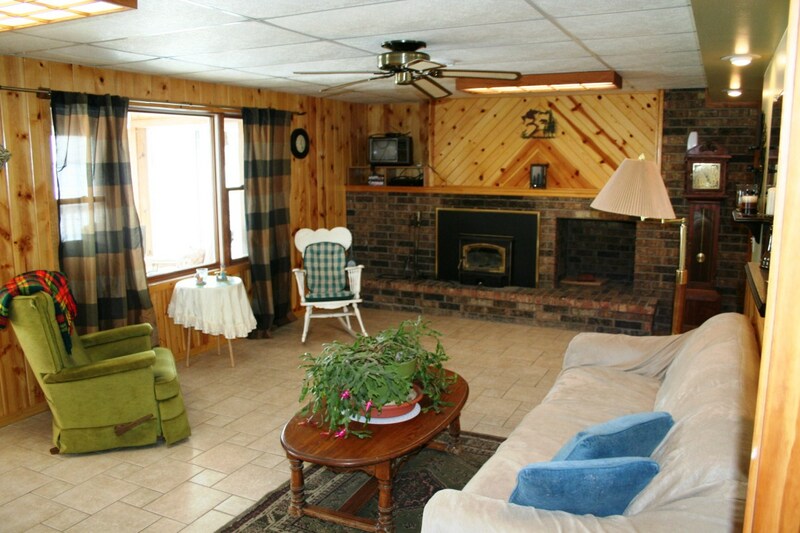 Enjoy the outdoor fire pit, lakeside deck only 10 feet from the water, private dock, 3 season room, or the all brick, wood burning fireplace in the vaulted living room. 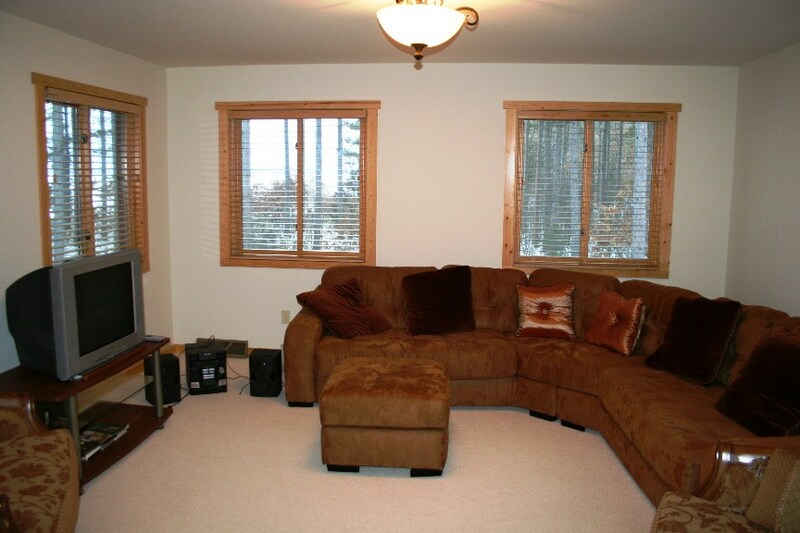 Loft features 2 bedrooms overlooking the main living area with tons of closet and storage place. 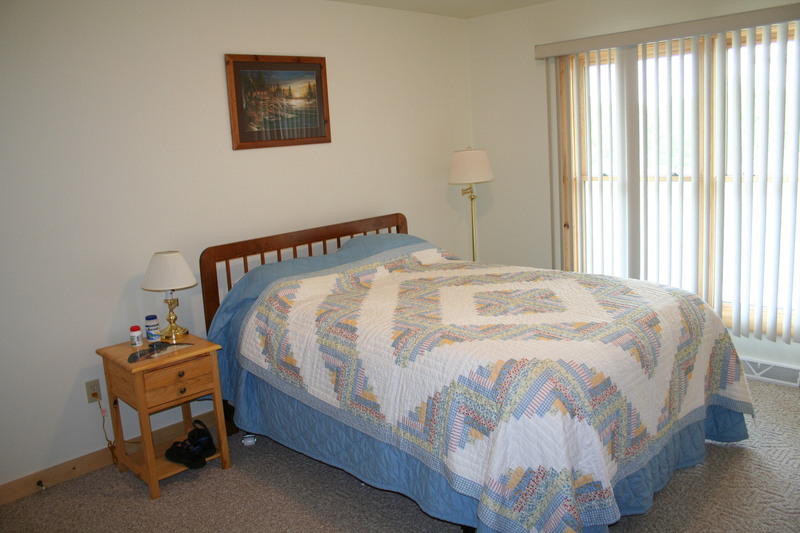 Main floor master bedroom and bathroom, dining area, and plenty of room to entertain in this open floor plan. 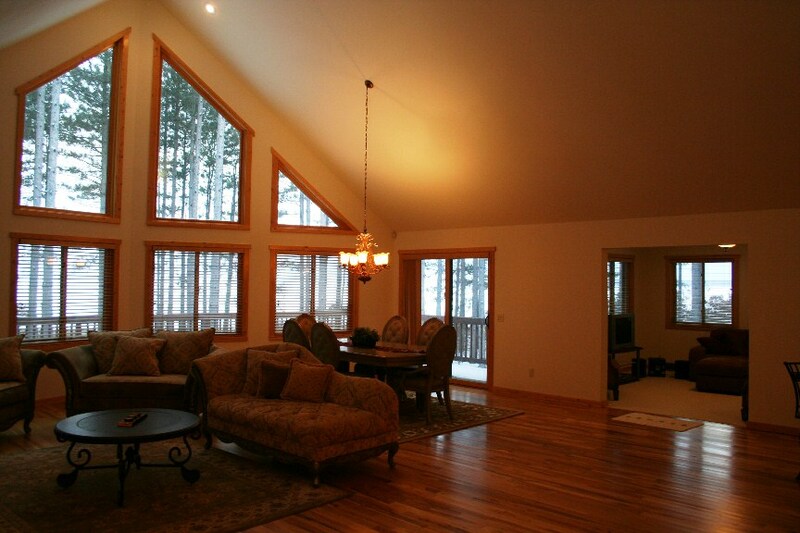 Sky lights bring in the natural light and make for great viewing of the numerous local eagles. 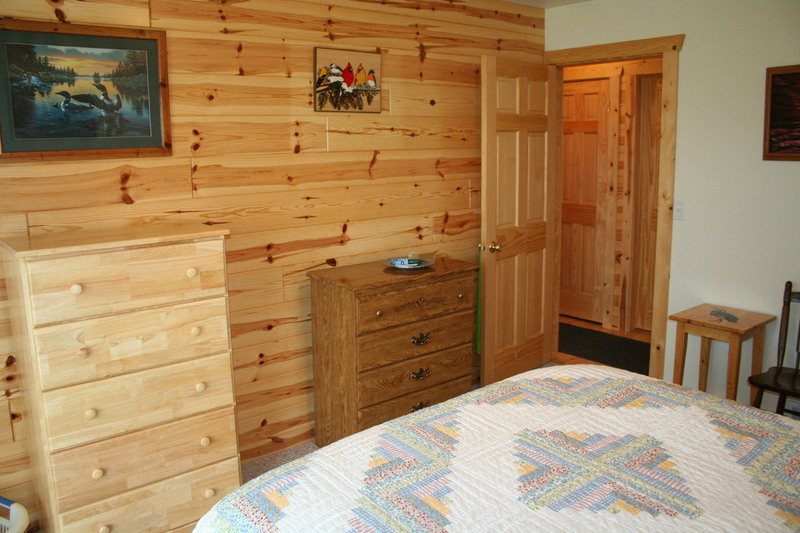 Gorgeous tongue and groove siding, wood floors, and wooden beamed ceiling. 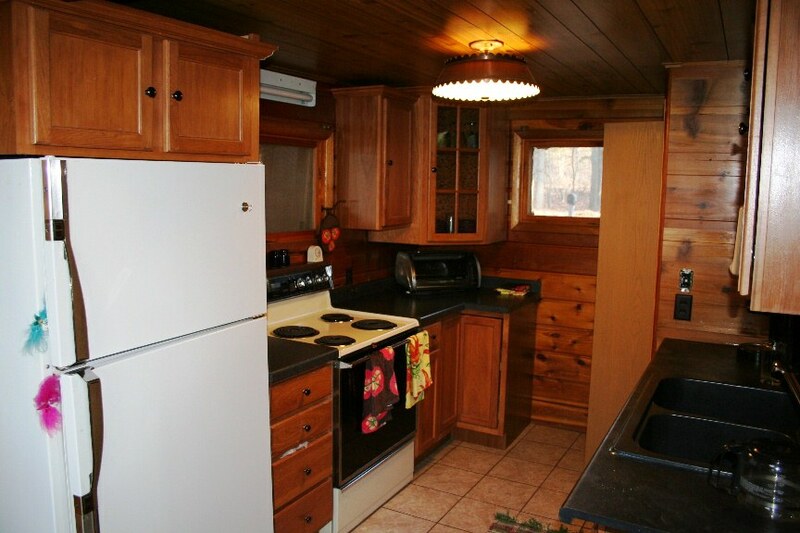 Brand new roof, septic system, and you’ll never run out of hot water with the tank less hot water heater. 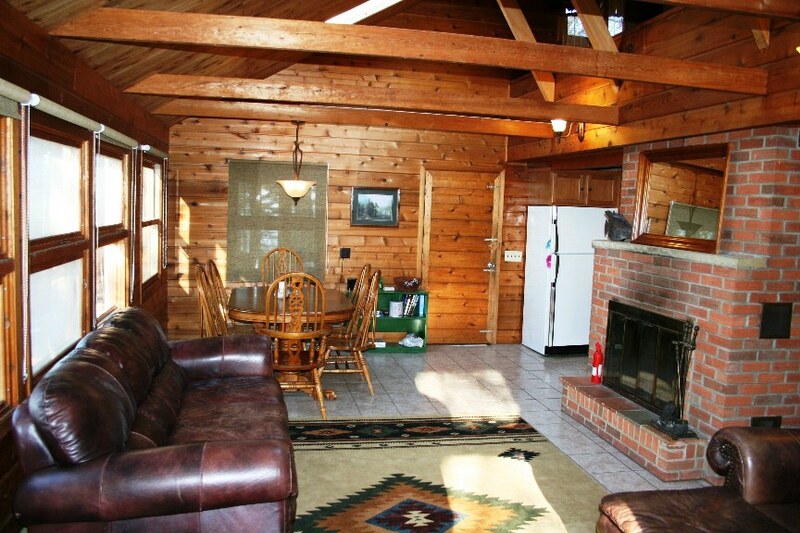 Beautifully wooded yard, and private at the end of the road. 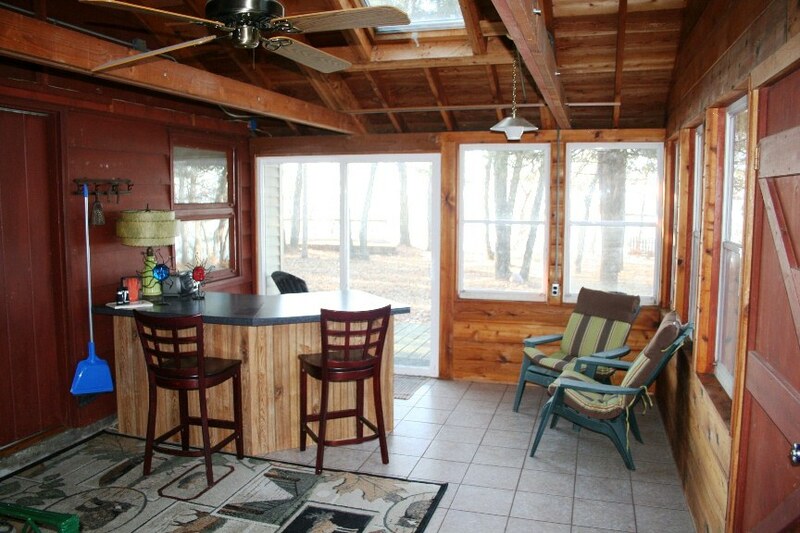 Gradual and easy access to your private boat house, dock, and miles of water. 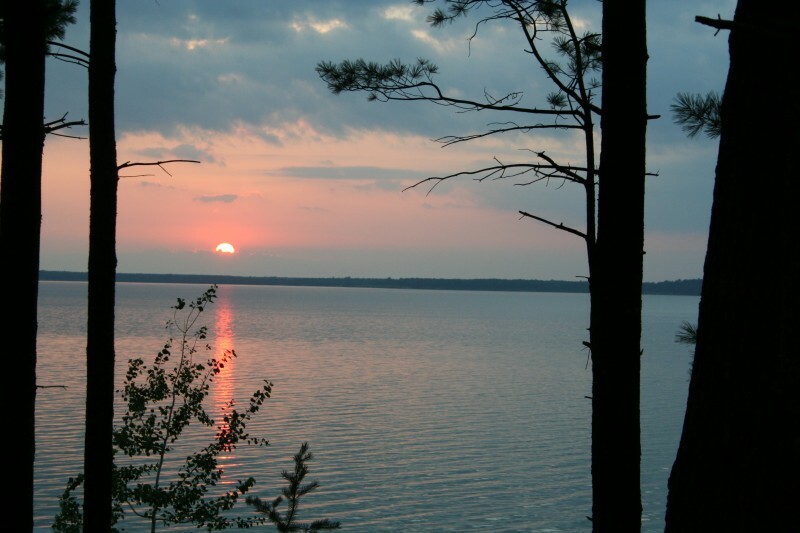 Enjoy fantastic fishing, all recreational water sports, and several restaurants, beaches, and marinas on the lake. 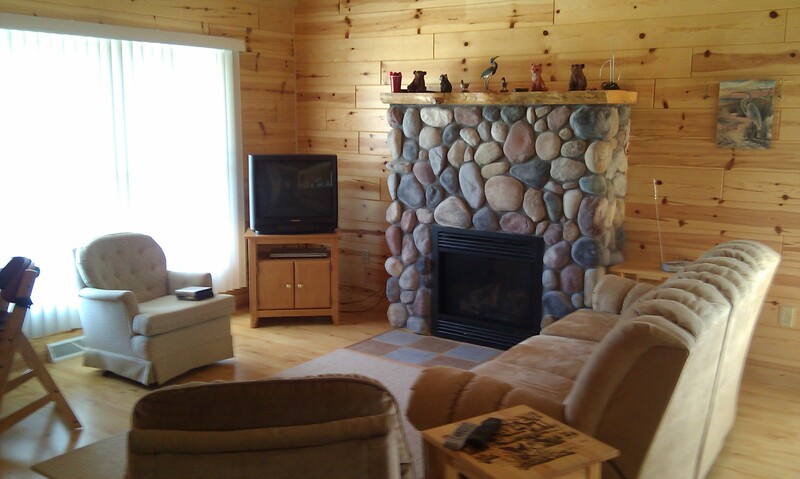 Close to shopping, ATV & snowmobile trails, and only 40 minutes to the world famous WI. Dells. Act NOW. 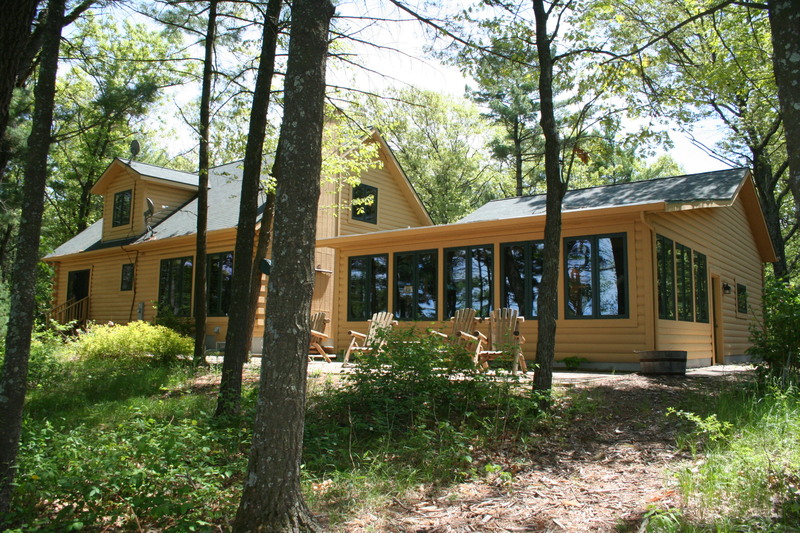 Beautiful, 3 year old, cedar sided home with open floor concept and amazing southern views across 6 miles of water on Lake Petenwell. 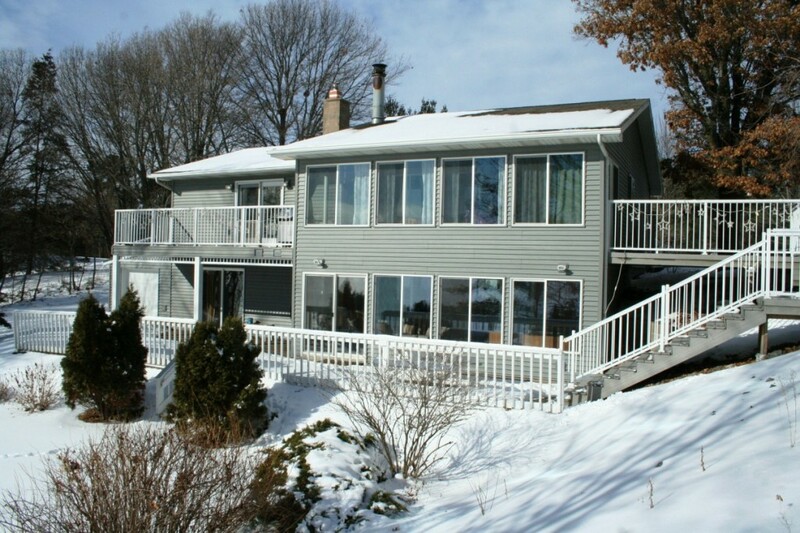 Well built for entertaining family and friends with its open floor plan, and expansive deck space. 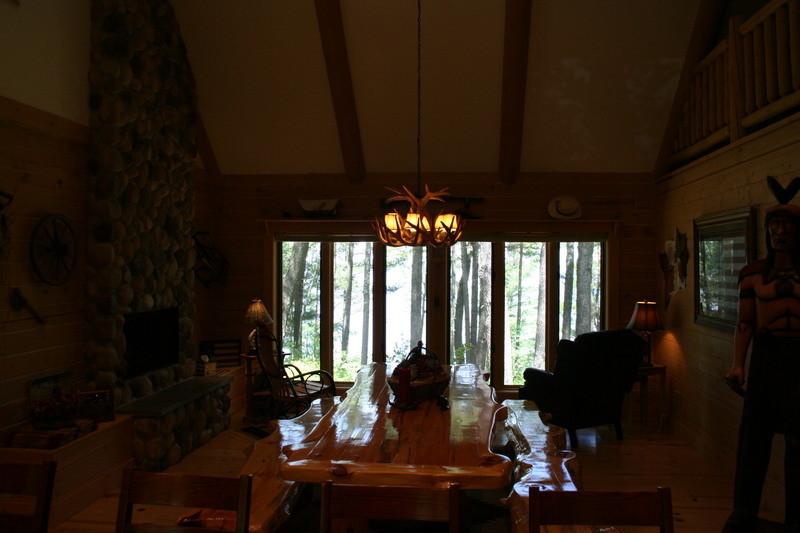 Huge great room with wood burning fireplace, dining area, and kitchen with work island and breakfast bar all overlooking the lake. 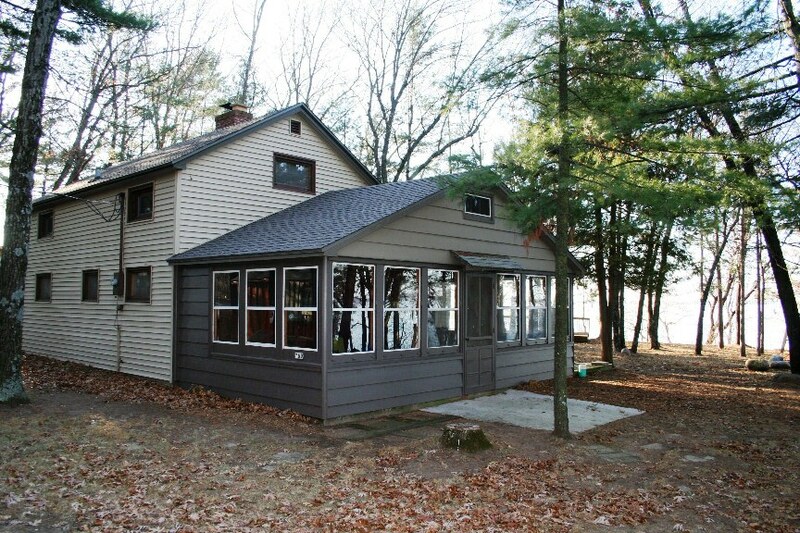 Large rec room, main floor master suite, huge lakeside deck with wrap around porch and a walkout basement. 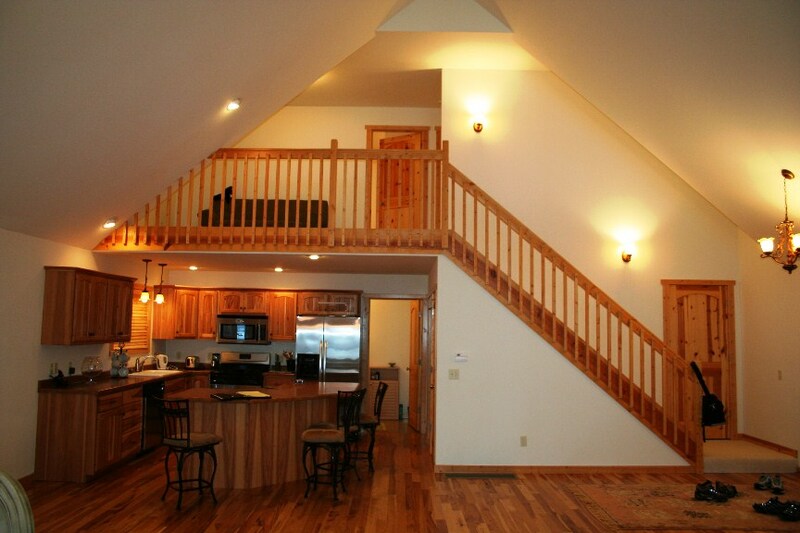 Loft, 2 bedrooms and a full bath upstairs. 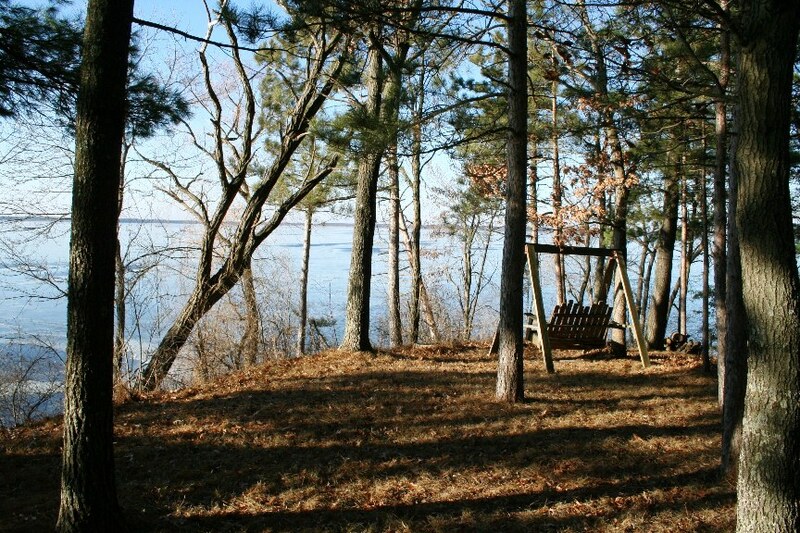 Nicely wooded, 2.21 acre lot close to beach and boat launch. EZ lake access and dock included. 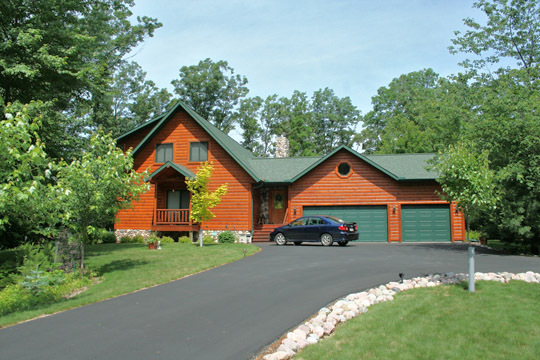 Beautiful, like new log home on Wisconsin’s 2nd largest lake. 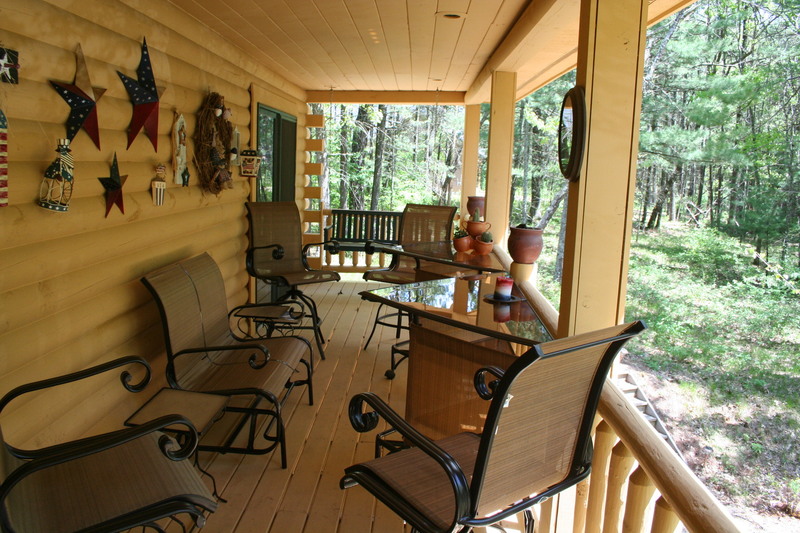 A large, covered front porch welcomes you to this 3,100sq. 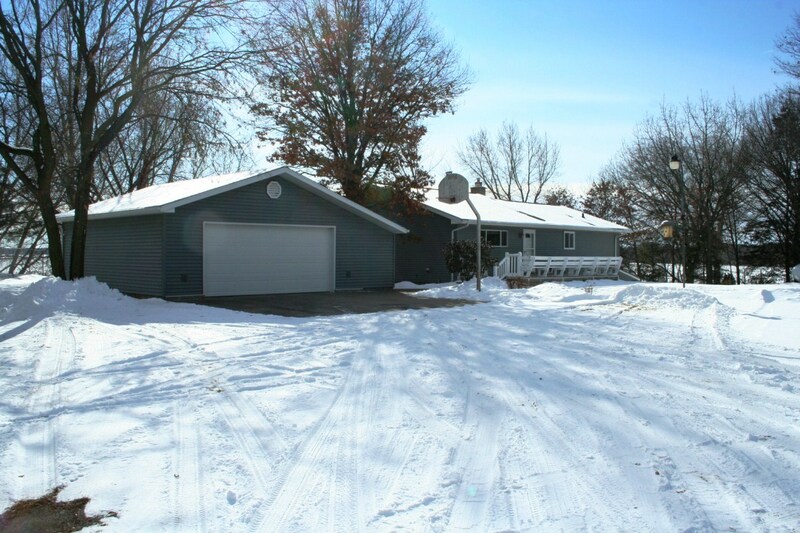 ft., 4BD, 3BA home. 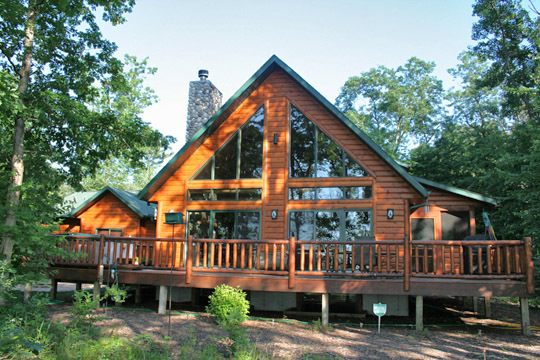 Inside you will find an open floor plan where the kitchen and living room create the perfect place to entertain, a huge loft overlooking the main living area, main floor master suite, large 4-season room with wood burning stove and spectacular sunset lake views. 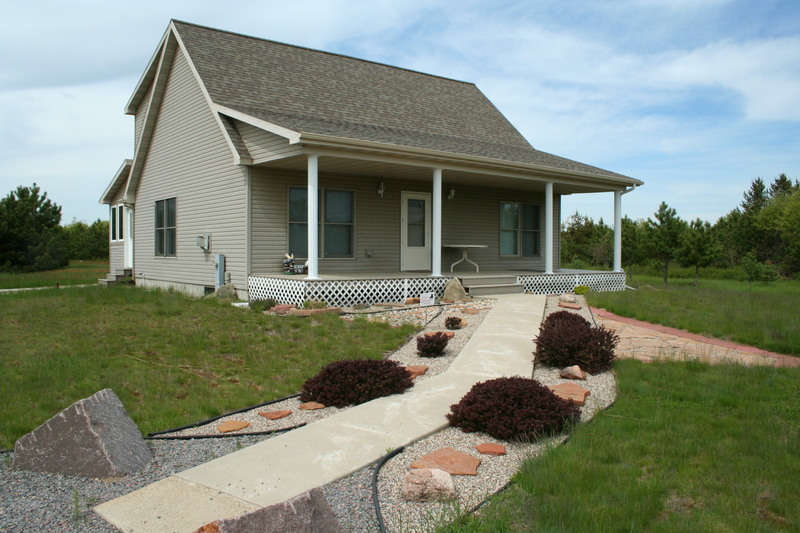 The walkout, finished basement provides plenty of room for guests with 2 more bedrooms, a 3rd bathroom, and a huge rec room looking out to the outdoor fire pit. 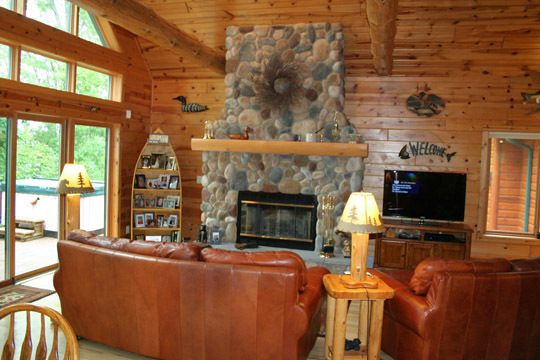 This “real” log home has a finished/walkout basement with large rec room and an attached 2-car garage. 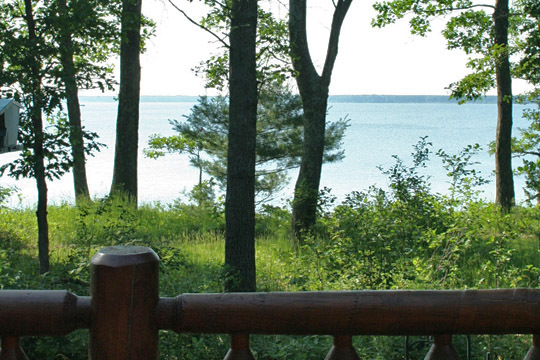 Enjoy lake living today as seller is willing to sell the home fully furnished and will even negotiate selling their boat, boat lift, ATV’s, and golf cart. 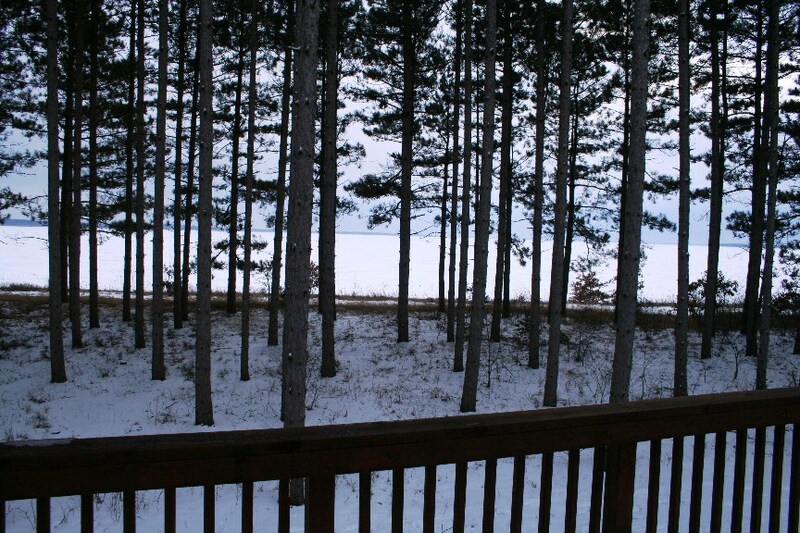 4 bedroom, 3 bath lakehouse with 167′ of PRIVATELY OWNED FRONTAGE on Lake Petenwell (no 100ft. strip). 2 fireplaces, large sun room, lakeside hot tub room, extensive decking, lakeside patio, stunning landscape, irrigated lawn, and breathtaking southern views. 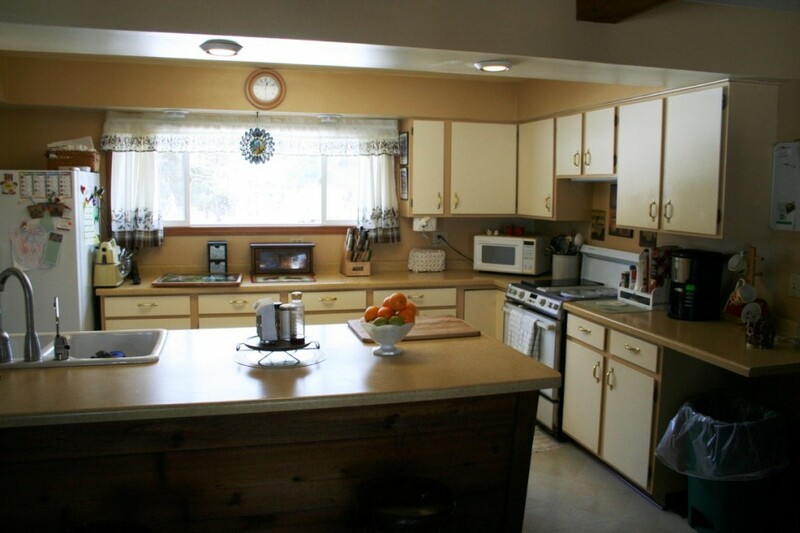 Kitchen with breakfast bar and tons of cabinets and counter top space. 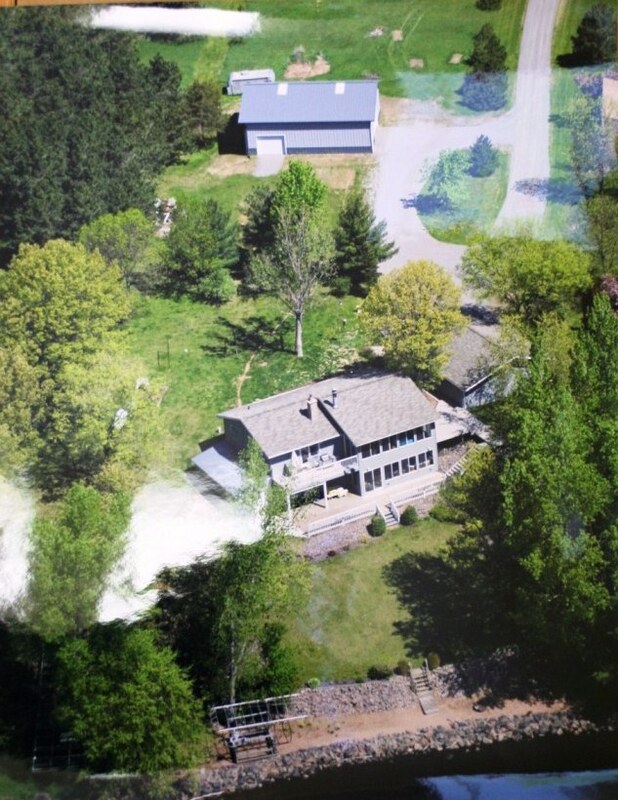 Beautiful sandy frontage and lots of privacy on over 4 acres. 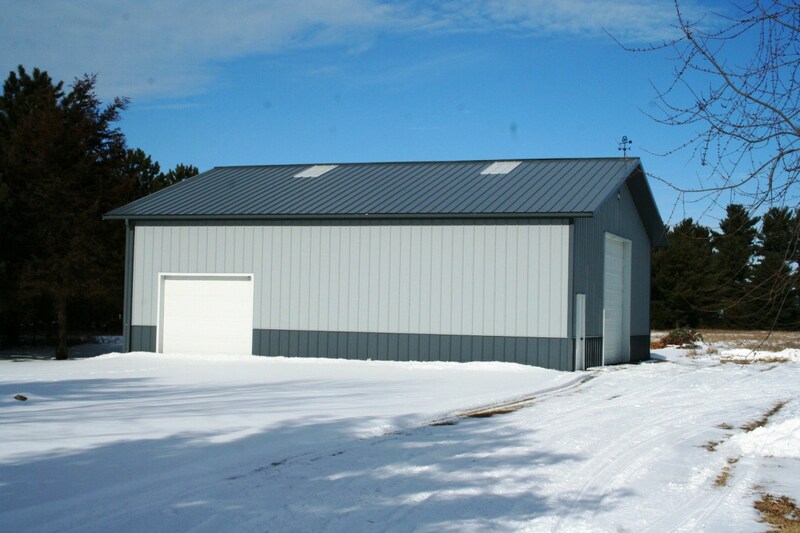 2 car garage AND 42×45 Morton Outbuilding. 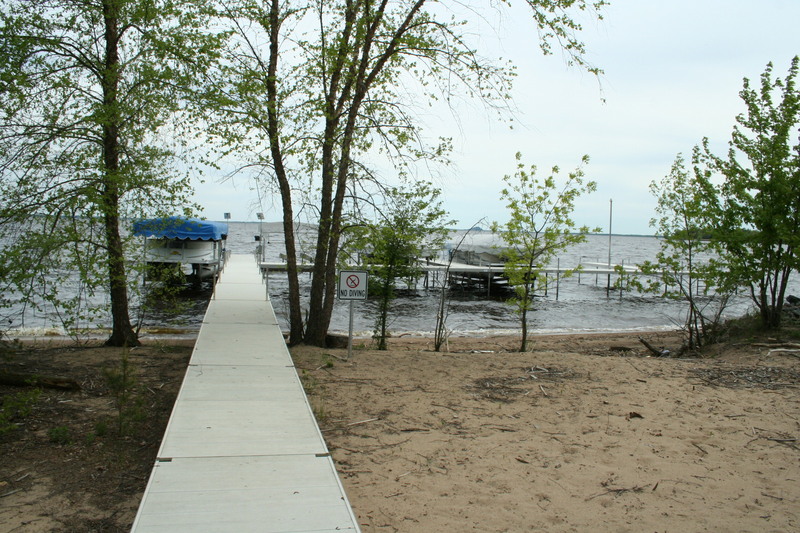 Newer dock and boat lift available separately. Rustic appeal on big water with breathtaking sunset views. 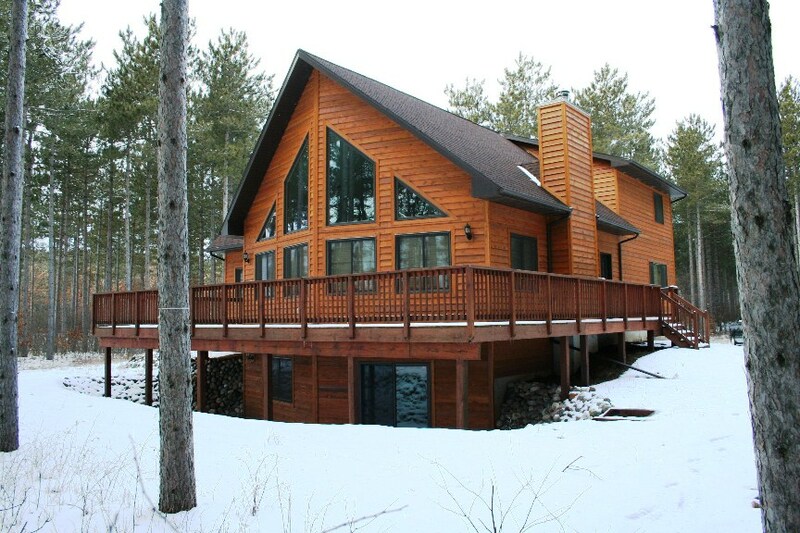 You’ll fall in love with this 3 bedroom, 4 bath lakefront log home totaling 3,050 finished square feet. An open floor plan where the kitchen, dining room, and great room all flow together is great for entertaining the entire family. 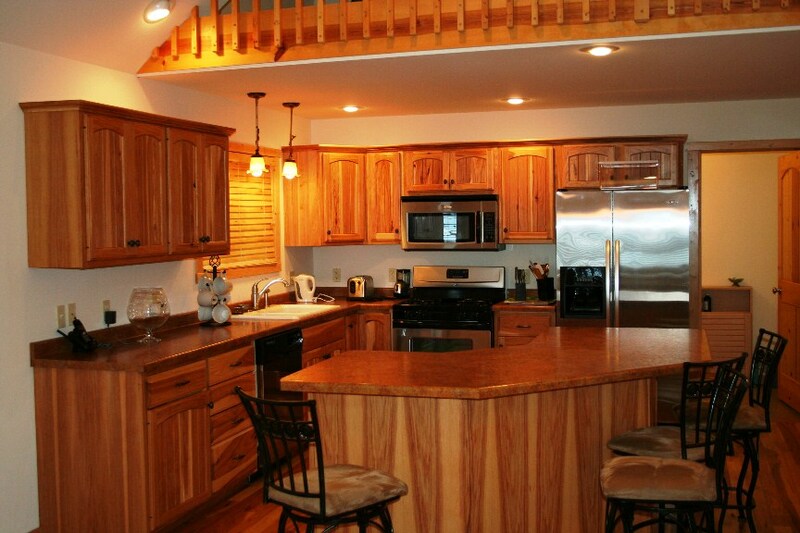 The kitchen has hickory floors and cabinets, granite counter tops, and eat at breakfast bar. 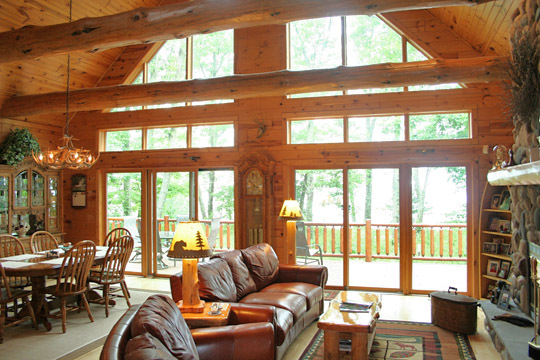 The great room showcases a 2 story wall of glass overlooking the lake and a stone faced, wood burning fireplace. 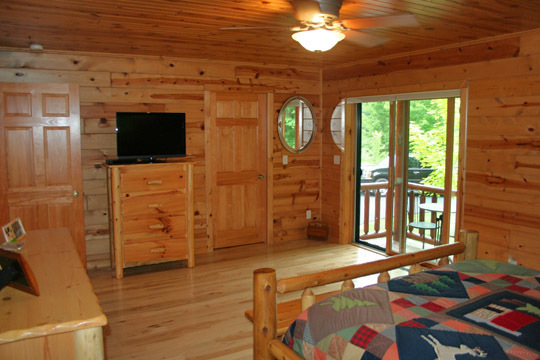 Main floor master suite with private porch, a cozy screen porch, a large lakeside deck with hot tub and stone fire pit round out the first level. A 3 car garage for all the toys, a loft that can be used as an office or additional sleeping area, a huge rec room in the basement, and plenty of storage throughout. 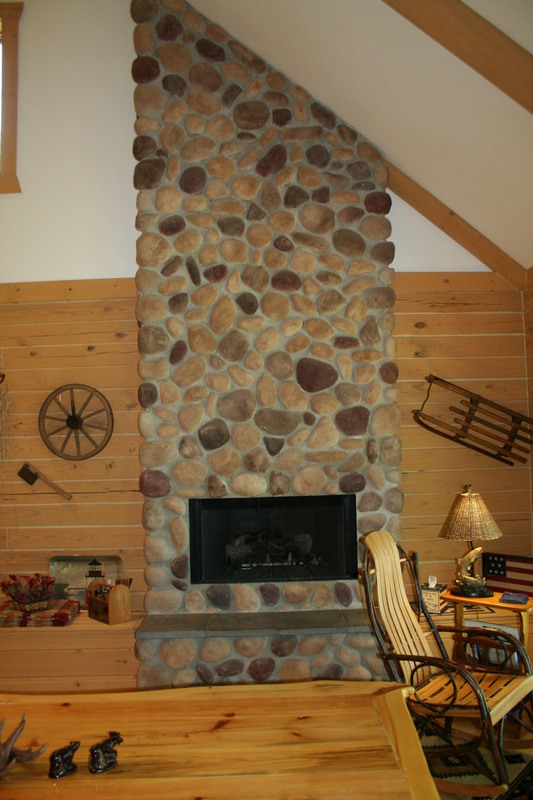 The well thought out use of stone, granite, hickory, and log give this home a great Northwoods feel. 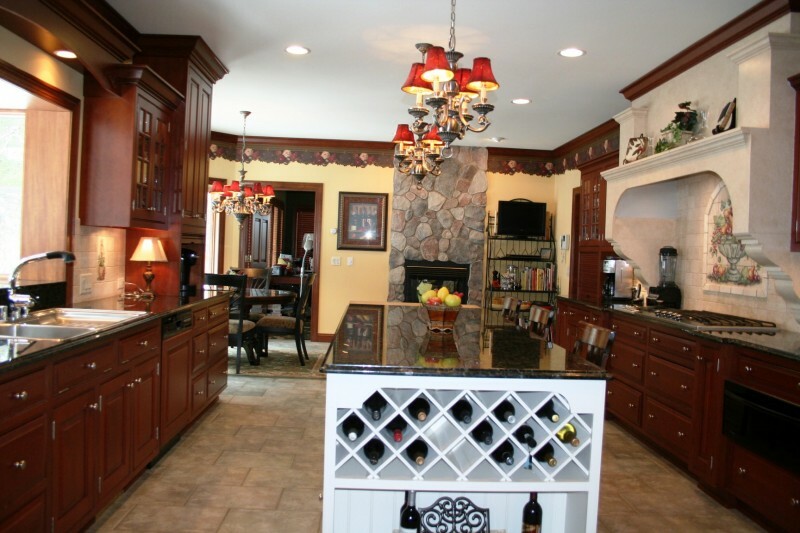 WAS $1,500,000 NOW $899,000… This custom built 8,200 sq. 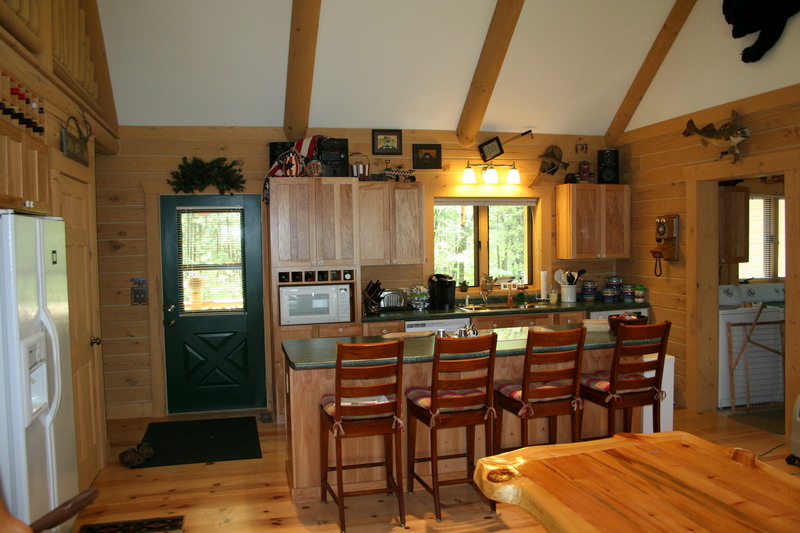 ft. split log home is a show case of top end detail and craftsmanship. 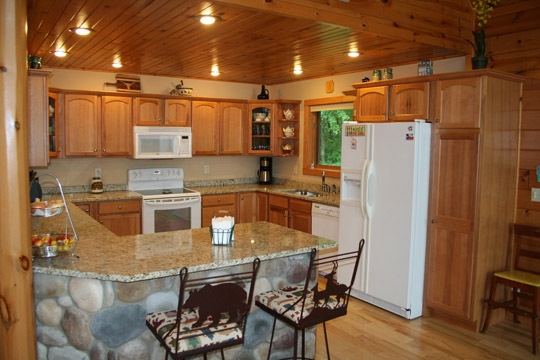 Stunning sunset views across almost 2 miles of open water from almost every room. 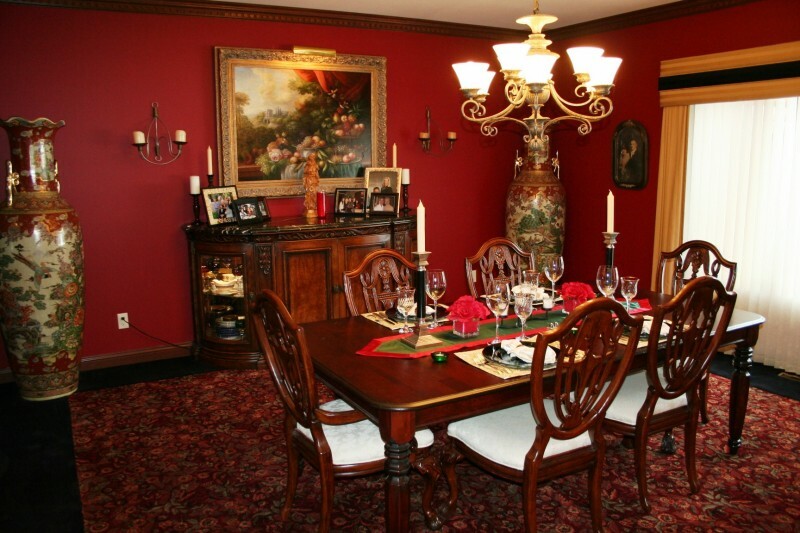 Upgrades include rosewood floors, 2 stone fireplaces, 3 floor, 11 zone radiant floor heating, granite, marble, 20ft. 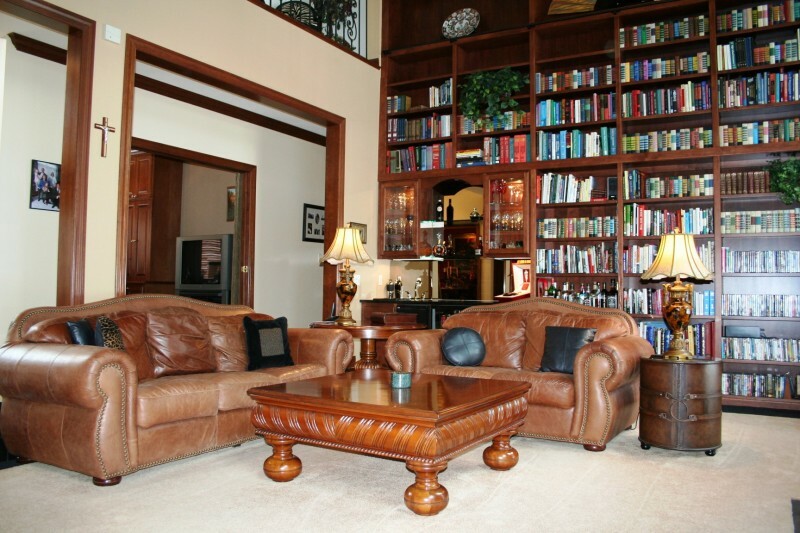 tall custom library, and a $100,000 chefs kitchen. 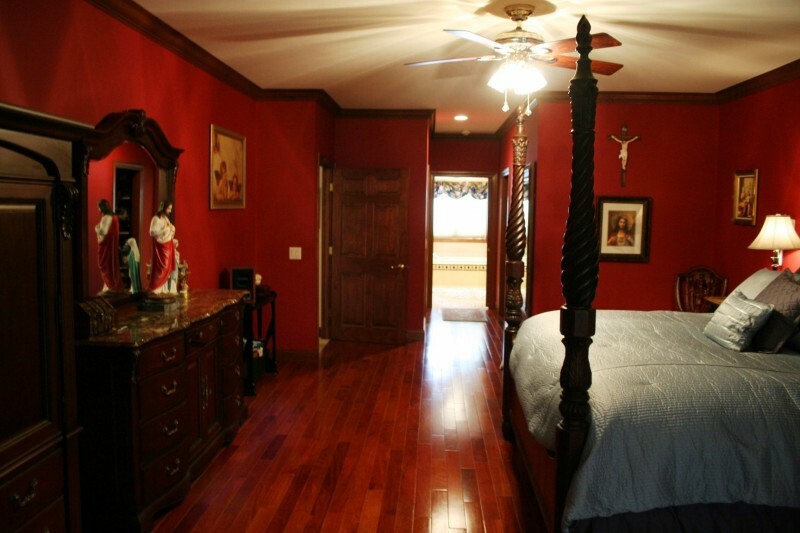 Huge Master suite is unequaled, oversized 4-car garage, 1,100sq. 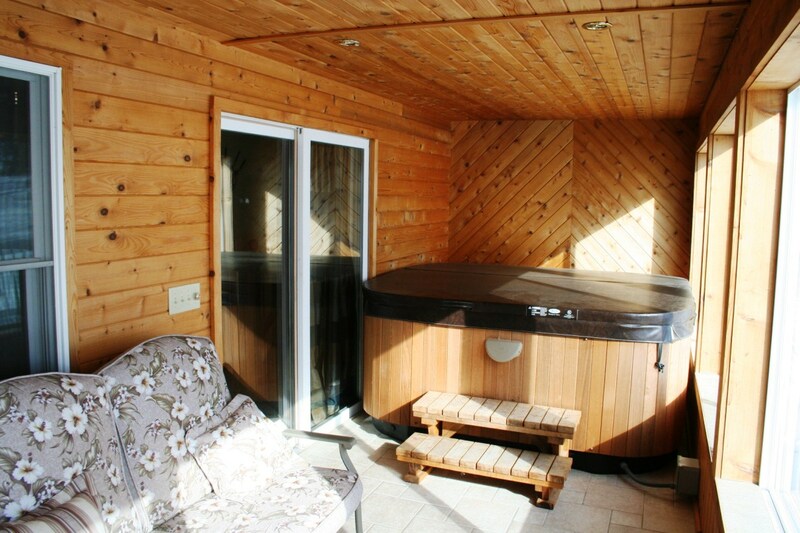 ft. lakeside deck, 8-person hot tub and 2,000+ sq. 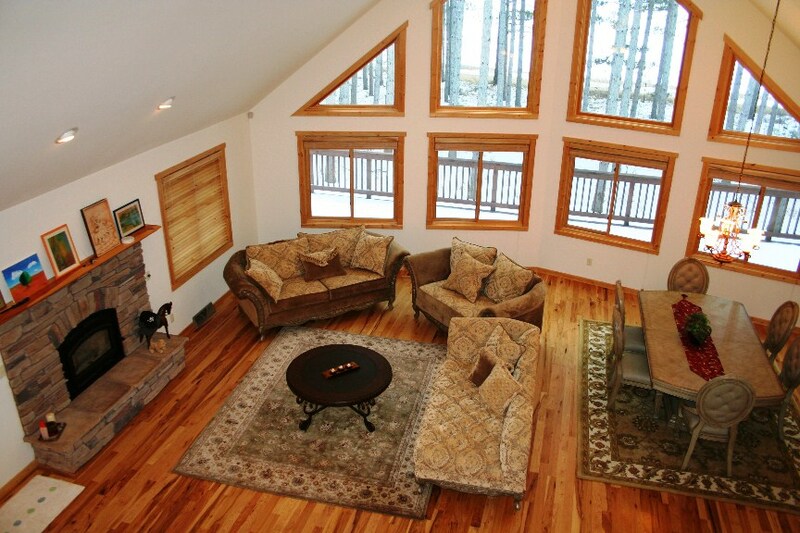 ft. rec room with a gorgeous wet bar, theater room, pool room, and fitness room. 200ft of frontage and priced $700,000 below replacement value. 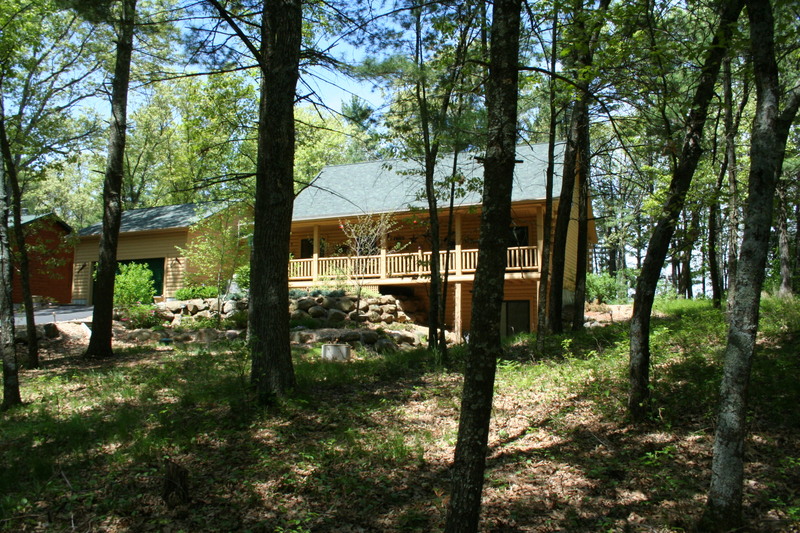 More detailed info and pictures can be found at WILakefrontHome.com.